Consent or refusal are to be determined by the impulse itself, without reference to any other motives such as commonly influence action. Every particle of energy must be built into this single-track machine of will; directly or indirectly, it must serve the one purpose. A very small hole in the hull may sink a very large ship. Every act, therefore, with the thoughts and words which determine its performance, is a sacrament. Here is confirmation in detail of AL I: 41. This act is a definite electrical or magnetic phenomenon. No other considerations apply. (It will therefore occasionally seem, to the outsider, unreasonable.) The only exception – it is only apparently so – is when satisfaction of the impulse would manifestly thwart the True Will more than it would help to fulfil it; any such case must be judged on its merits. “But always unto me.” The word “always” admits of no exception; “unto me” may be paraphrased as the “fulfilment of one possibility necessary to the achievement of the Great Work.” Every act is a sacrament, but this pre-eminently so. The text continues with a plain threat: “if the ritual be not ever unto me: then expect the direful judgements of Ra Hoor Khuit.” To profane this sacrament of sacraments is the most fatal of errors and offences; for it is high treason to the Great Work itself. “. . . Be goodly therefore; dress ye all in fine apparel; eat rich foods and drink sweet wines and wines that foam! Also, take your fill and will of love as ye will . . .” This refers to the technique of the art; it will be explained later in this essay. “. . . with whom ye will.” This repeats what has been said already above in the notes to AL, I:41. Verse 53 asserts the importance of this dogma. Neglect of these prescriptions has been responsible for the endless and intolerable agonies, the hideous and unmitigable disasters of the past. The Qabalist may note that “To me!” at the end of this verse not only repeats the adjuration, but is a Magical Seal set upon the dogma. (Verse 54 is a hint to seek the secret. In Greek letters TO MH4 adds to 418; it is identical with Abrahadabra, the cipher of the Great Work. Meditation should lead the student to considerations even deeper and more fruitful. Invoke me under my stars! Love is the law, love under will. Nor let the fools mistake love; for there are love and love. There is the dove, and there is the serpent. Choose ye well! He, my prophet, hath chosen, knowing the law of the fortress, and the great mystery of the House of God. (AL, I:57) Beauty and strength, leaping laughter and delicious languor, force and fire, are of us. (AL, II:20) I am the Snake that giveth Knowledge & Delight and bright glory, and stir the hearts of men with drunkenness. To worship me take wine and strange drugs whereof I will tell my prophet, & be drunk thereof! They shall not harm ye at all. It is a lie, this follly against self. The exposure of innocence is a lie. Be strong, o man! lust, enjoy all things of sense and rapture: fear not that any God shall deny thee for this. (AL, II:22) Behold! these be grave mysteries; for there are also of my friends who be hermits. Now think not to find them in the forest or on the mountain; but in beds of purple, caressed by magnificent beasts of women with large limbs, and fire and light in their eyes, and masses of flaming hair about them; there shall ye find them. (AL, II:24) But ye, o my people, rise up & awake! (AL, II:34-44) These verses refer once more to the concomitants of the act; they indicate the adjutants to the technique; and they indicate the spirit in which it should be approached. The detatched scientific attitude of enquiry and preparation is preliminary; the object is to foresee hindrances, to facilitate and to direct the current: but the impulse itself is Enthusiasm. The student should assimilate the doctrine of the “Black Brothers.”5 To refuse to fulfill any of one’s possibilities is the direct negation of the Great Work. Here, in a few simple phrases, is a complete guide – in skeleton – to the Art of Love. Genius without technique is often clumsy and unintelligible; but technique without genius is dry bones. Genius is there, or is not there; nor wit nor work avail if it be absent. Yet one may maintain that it is always there, since “Every man and every woman is a star.” In any case only technique responds to study and exercise; it has been written that it “demands as much study as theology, and as much practice as billiard.” All one can do is (a) to unleash and (b) to direct, the latent genius. In countries hostile to civilisation (horribilesque ultimosque Brittanos) and their colonies, past and present, the technique is almost non-existent; individuals who possess it in any degree of perfection owe their pre-eminence, in almost every case, to tuition and training under the natives of happier and less barbarian parts of the world. Each type of race or culture has its own especial virtues. A. Study: The student should study, bear in mind, and take to heart, such classics as the Ananga-Ranga, the Bagh-i-Muattar of Abdullah el Haji, the Kama Shastra, the Kama Sutra, the Scented Garden of the Sheikh Nefzawi, and certain scientific or pseudo-scientific treatises (usually upon the deformities of nature, or the abuses of ignorance) by numerous authors, mostly French, German, Austrian or Italian. Energised Enthusiasm (The Equinox, Vol. 1, No. 9) is of palmary virtue. (Liber LXVI, Liber CCCLXX, Liber DCCCXXXI, Liber CLXXV, Liber CLVI and others, also in The Equinox, are official publications of the A∴A∴.) There are also various classics of the subject, helpful to assimilate the romantic and enthusiastic atmosphere proper to practice of the Art; one may instance Catullus, Juvenal (especially the Sixth Satire), Martial, Petronius Arbiter, Apuleius, Boccaccio, Masucci, Francois Rabelais, de Balzac (Contes Drolatiques), de Sade (Justine, Juliette, et al), Andre de Nerciat, Alfred de Musset et Georges Sand (Gamiani: ou Deux nuits d'exces), Sacher-Masoch (Venus in Furs), with English and American too numerous to list, but notably the poets in Holy Orders: Swift, Sterne, Herrick, Donne, and Herbert. There is also a complete literature of mysticism which approaches or implies this matter; but this type of work is, for the younger student, as dangerous as it is superficially attractive. It encourages the sense of guilt, teaches the venemous art of self-exculpation, and extols that very hypocrisy which Freedom notably condemns. “Tear down that lying spectre of the centuries.” (AL, II:52). B. Practice: No one teacher, however gifted, can possibly cover one hundredth part of the groundwork of this Art. The best tuition is that of trained and consecrated experts; next, that of men and women of natural genius. C. Original Research: This should be based upon the broadest knowledge possible, and the deepest understanding of the same; and upon the results of the scope and intensity of one’s practice. This was transcribed from Magick Without Tears, where it forms the bulk of chapter 15. It was probably in this volume that it first saw print, although it had previously (“quite recently”, according to Crowley in a letter written circa 1944) been issued as an “encyclical” to Agape Lodge #2 O.T.O. 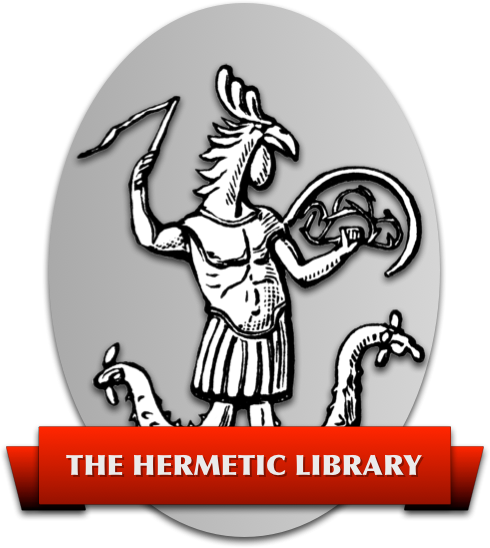 A few minor typographical errors have been silently corrected, and chapter and verse references to all quotes from Liber AL, originally done inconsistently, have been inserted. 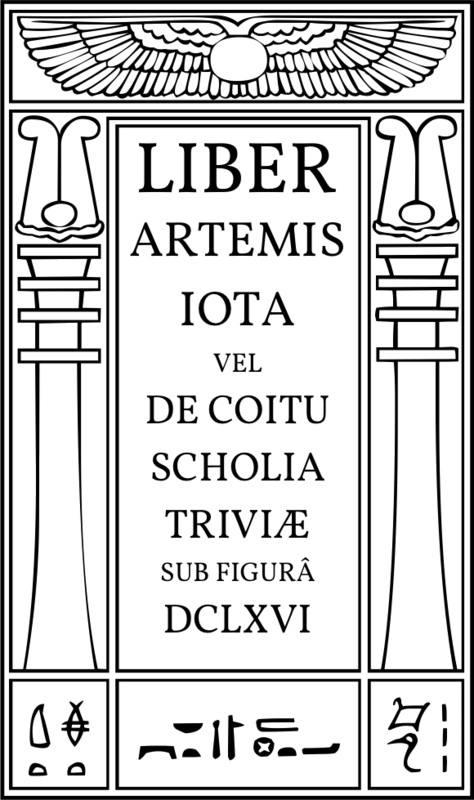 In Gerald Yorke's Catalogue and Key to the Technical Writings of Aleister Crowley (summarized as Liber number, class and title in an appendix to Equinox III, 9), this paper is listed as Liber DCLXVI, Class B. Artemis in Greek = 656, plus 10 for the Iota = 666. I leave it to the student to work out the Qabalistic significance of the extra Iota (the traditional Qabalistic fudge of the “concealed yod”) in this instance. and girls, let us sing. 3: I.e., of The Book of the Law. 4: H here represents the Greek Eta, almost a long 'e'. 5: See The Vision and the Voice, especially the 12th, 11th, 7th and 3rd Aethyrs; also chapter 12 of //Magick Without Tears//, chapter 21 of Magick in Theory and Practice and One Star in Sight.